WHAT IS THE SOCIETY FOR EXCEPTIONAL WOMEN+? The Society for Exceptional Women+ is a collection of generous and forward thinking humans of all gender identities who believe there should be more female and non-binary scientists. 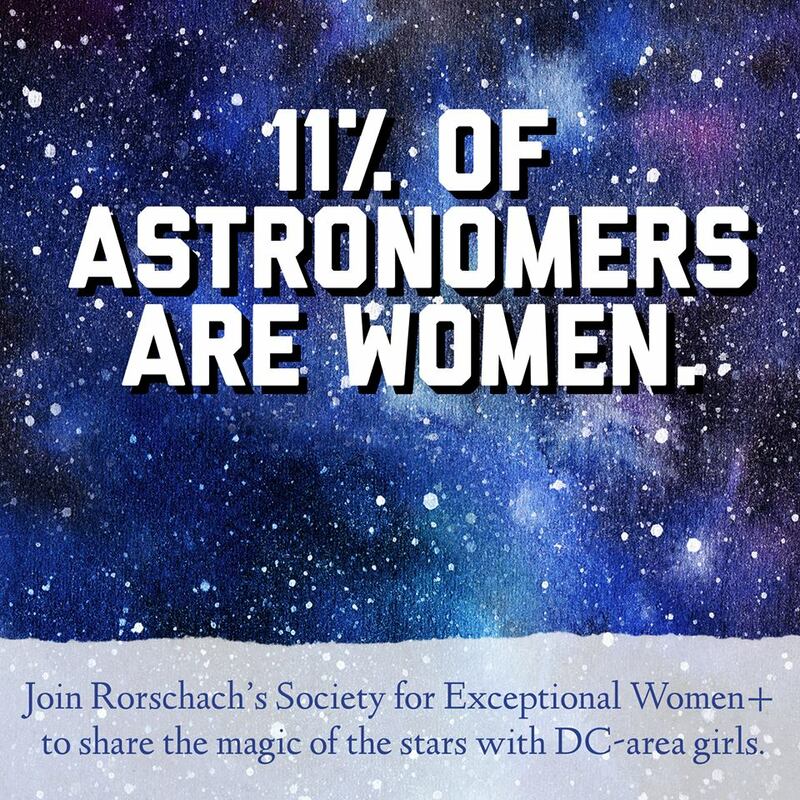 With a donation of any amount, Society Members will help ensure teens in the DC-Metro area have the opportunity to see a smart, savvy young female astronomer brought to life on stage. For each $20 donation received, Rorschach will ensure give a young person gets to see ANNIE JUMP & THE LIBRARY OF HEAVEN at no charge. The play celebrates an aspiring young astronomer finding her place in the universe. Your help ensure that young girls and non-binary youth around the DC-Metro area can be inspired by this one-of-kind theatrical experience. Join the Rorschach’s Society for Exceptional Women+. A contribution of $100 brings 5 girls or non-binary youth to the theatre. Members of the Society for Exceptional Women+ will receive credit for a tax-deductible donation as well as acknowledgment on Rorschach’s website, program, social media and in the lobby of theatre. or by clicking right here. Contributions of any amount, from friends of any gender-identity, are welcome. Please include your email address in the venmo note.